Biutiful is the story of a father, Uxbal (Javier Bardem), struggling to reconcile fatherhood, love, spirituality, crime, guilt and mortality in the dangerous underworld of modern Barcelona. He's a man whose livelihood is built upon exploiting willing illegal immigrants while simultaneously striving to better their lives. Ultimately he is full of contradictions. As hemoves closer to death he becomes more and more fascinating as the centerpiece to this film. Unlike his previous films, Babel and 21 Grams, Biutiful follows a single storyline but is still unmistakably a film by auteur Alejandro González Iñárritu. I really wanted to like this film. I enjoyed aspects of it, but as a whole it left me feeling overwhelmed. Iñárritu has a very distinctive style of storytelling that attempts to encompass a whole world with interlinking stories and people. This gives his films have a very wide scope but never allows enough depth to the background characters. In his 'Death Trilogy' this worked in his favour, yet in this film he is attempting to give us an intimate portrait of one person. 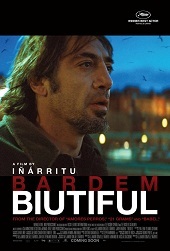 And by failing to stick to this single person narrative, Biutiful fails to convey a single clear idea. Throughout the film I found myself questioning why the director had included aspects of the story - the inclusion of the two Chinese men who were lovers, for instance, seemed totally irrelevant to the main story. I also didn't understand the motivations of the side characters, such as Ige, an illegal immigrant, who takes pity on Uxbal. These aspects of life in Barcelona are represented but they are not examined in any depth, thereby negating any necessity for them to be in the film. The scope also inflates the running time; Iñárritu just trys to portray too much. 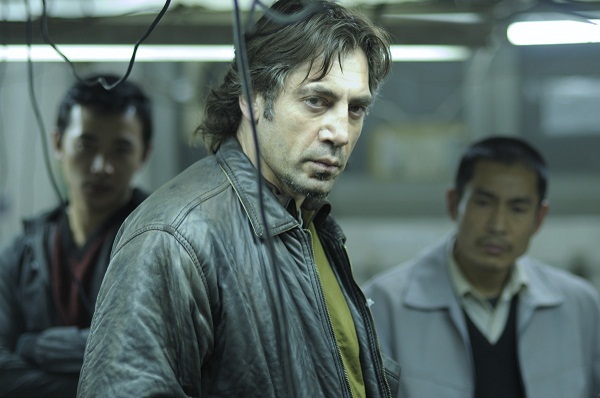 The most frustrating aspect of this film is that the entire cast give amazing performances, especially Bardem as a man living with a terminal illness. Ultimately this is a film about a man struggling to come to terms with the choices he has made in his life. I just wish that Iñárritu had scaled down the scope of his vision and focused more intently upon the fascinating human story of Uxbal. Anyone who loved Iñárritu's previous films (and I have to confess I didn't love them) will find something to enjoy in Biutiful; his distinctive style of storytelling and visual aesthetic is ever present. Ultimately there are too many flaws in this film for me to say that I really enjoyed it, which is sad, because Iñárritu has the potential of greatness, but always seems to fall just short.